Analysis of environmental information is considered of utmost importance for humans, since environmental conditions are strongly related to health issues and to a variety of everyday activities. Despite the fact that there are already many free on-line services providing environmental information, there are several cases, in which the presentation format complicates the extraction and processing of such data. A very characteristic example is the air quality forecasts, which are usually encoded in image maps of heterogeneous formats, while the initial (numerical) pollutant concentrations, calculated and predicted by a relevant model, remain unavailable. 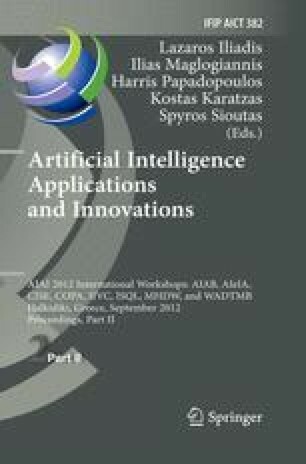 This work addresses the task of semi-automatic extraction of such information based on a template configuration tool, on methodologies for data reconstruction from images, as well as on Optical Character Recognition (OCR) techniques. The framework is tested with a number of air quality forecast heatmaps demonstrating satisfactory results.